Studies challenging the idea that technology and science flow only from global North to South. 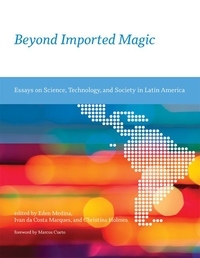 The essays in this volume study the creation, adaptation, and use of science and technology in Latin America. They challenge the view that scientific ideas and technology travel unchanged from the global North to the global South--the view of technology as "imported magic." They describe not only alternate pathways for innovation, invention, and discovery but also how ideas and technologies circulate in Latin American contexts and transnationally. The contributors' explorations of these issues, and their examination of specific Latin American experiences with science and technology, offer a broader, more nuanced understanding of how science, technology, politics, and power interact in the past and present.